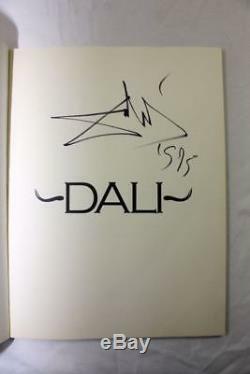 Salvador Dali Ballantine Books New York 1974 Fine SIGNED 1st. A Fine copy of the softcover First Edition, signed by Dali on the half title in black marker ink. UK Customers can also pay by cheq. Heavier items are sent by courier (signed for). Replies usually made within 24 hours. 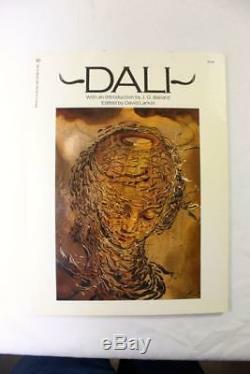 The item "Salvador Dali Ballantine Books New York 1974 Fine SIGNED 1st" is in sale since Tuesday, June 09, 2015. This item is in the category "Books, Comics & Magazines\Antiquarian & Collectable". The seller is "finecopyme" and is located in Wiltshire. This item can be shipped to North, South, or Latin America, all countries in Europe, all countries in continental Asia, Australia.